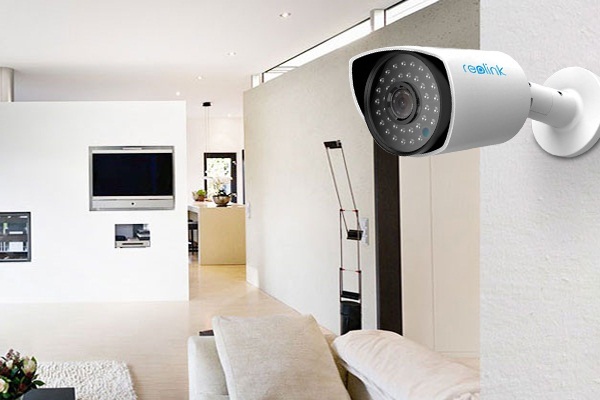 Using CCTV security cameras and IP cameras are becoming more and more popular to protect home and family from intrusions. But there are still homes without installing a video surveillance camera. Can’t afford a security camera? Want security camera alternatives to increase home security? Don’t miss top 10 tips and tricks to secure your home without buying a security camera. “Are home security systems worth the money?” “Do I really need a home security system?” You used to have concerns like this. When it comes to the reason why you need a home security camera or alarm system, statistics speak louder than anything else. Most burglars determine whether or not to intrude a house by checking if there is a security camera installed. 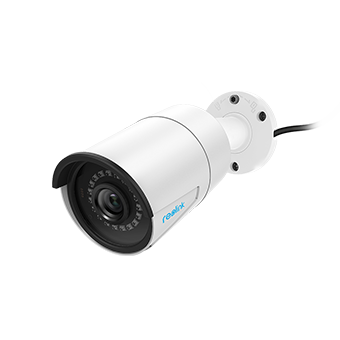 Homes without a security camera are 300% more likely to be burglarized. Without doubt, a home security camera is one of the most effective ways to keep burglars and robbers away from your house. 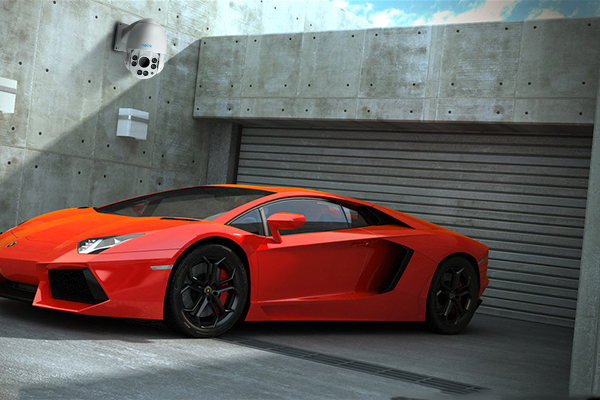 If you are on the hunt for a video surveillance camera, you can check Reolink security cameras. They do an excellent job in detecting any danger in your home and sending you alarms. Moreover, it allows remote monitoring, keeping you connected and in control of your home through your mobile phone. Needless to say, installing a home security system equipment can be the best deterrent for burglars. Even if you do not have a home surveillance camera, there are still plenty of things you can do to protect your home and family. Check the following cheap home security ideas. Homes with a security camera also need these tips to ensure a higher level of security and a long-term peace of mind. Installing motion detector lights in front of your house is an easy and cheap to increase your home security. Motion detector lights give you alerts when someone or something is moving on your driveway. More often than not, the thing that activates the motion detector lights is just your neighbor’s cat going for a midnight stroll, but these lights are better than nothing. When you are not home, it is a good idea to leave at least one light on in the house. It should be a different light every time you go out, making it harder to tell whether anyone is home. Your front door, back door, and windows give the first layer of protection from intruders. A burglary usually lasts from 90 seconds to 12 minutes. If a thief finds it hard to break into your house, he will give up and turn to other targets. When you are not home, having a trusted neighbor look after your house and pets is a good way to safeguard a home without a security camera or security system with NVR. Your neighbor also helps collect the newspaper from your driveway, to make it less obvious that your house is empty. Even letting the neighbors know how long you will be away is a good idea, because then they can tell that those people are intruders, not guests, if they see anyone outside your house in your absence. It is also important to secure cash, jewelry and other valuables from home theft. To secure your home from intruders, do not make it obvious where the most expensive and valuable things are. If possible, keep your jewelry box inside a closet or chest of drawers in your bedroom. Do not leave cash in visible places, such as on tables or counters. When you are asleep, keep your wallet or purse in the bedroom with you. If you have very valuable items, it is better to keep it in a safe deposit box in the bank. Unless you are present in the garage, you should always close the garage door. If the fact that leaving the garage door open lets lots of insects into the house does not motivate you to close it, the fact that it leaves lots of your possessions vulnerable to theft will. Not leaving the garage door open when you are not home helps make your home secure from burglars. We have a post focusing on how to secure your garage from break-ins. Maybe it will give you some insight. Another home security tip you should not overlook is to hide your spare keys. Having a spare key can be a huge relief if you accidentally forget to bring a key with you when going out. It is important to choose a great hiding place for your spare keys, which only your family members can find. It is not a good idea to keep your spare key under the doormat or in a potted plant near the front door. Do not leave notes on your front door indicating you are not home. To protect your home while on vacation if you don’t have a video surveillance camera, don’t announce your vocation dates and your detailed holiday plans on social media. Robbers and home invaders prefer to target people on a vocation. Fake security signs like “this house protected by closed circuit television” or “beware of dog” can, more or less, protect your home from invasion. A cheap alternative to getting a home security system or a dog is to put up one of these signs, even if you do not have a security system or a dog. Even small dogs will spare no effort in deterring thieves. The noise dogs make when an unknown person tries to enter the house is definitely enough to alert you and your neighbors. Moreover, you can give special training to let your dog guard your house. But you should make sure your dog’s security so that it is not stolen or killed by burglars. These genius security tips do help decrease the risk of being the victim of a robbery. But we highly recommend a home security camera. Burglary reports reveal that up to 83% of thieves would make sure if a home has a security camera before invasion, and 50% of them would give up breaking in if there is one. Installing a security system is like building a hard fortress for your home. You can also take a DIY security camera if you don’t want to buy one. Note to avoid buying fake security cameras. They are cheap but they don’t work to fool intruders and stop break-ins. Go to Amazon to select a high-quality and reliable home security system. This entry was posted in Expert Safety Tips. Bookmark the permalink.